The theme for this year’s Dzogchen retreat — Completely Profound Enlightened Intent — is taken from the lineage name, Gonpo Yangzab, the Dzogchen transmissions found within this month of meditations. Intention is at the heart of all we do, think, feel, where we go, what we say and what we become. Unbinding our intentions from habit patterns that block an emerging continuum of wholesome states is a great start. In addition, we will learn to harness and aim our good intentions and conduct towards the search and discovery of primordial, unchanging awareness—an ineffable vast expanse with infinite compassionate activities. All-pervasive compassionate awakeness is known as bodhicitta. This aspiration and conduct is completely profound enlightened intent, our programme. Introduction to the View, Meditation and Conduct of the Dzogchen Path. Completely Profound Enlightened Intent. Understanding interdependent causality. Torma Empowerment, transmission and explanation of the practice of the Yangzab Dzogchen Longevity and Deathlessness practice of Amitayus-Padmasambhava. Unifying Inner yoga and ultimate bodhicitta. Profound Enlightened Intent: contemplating the innumerable facets of Bodhicitta. 5 classes over two days. The reading transmission and explanations of the 356 verses of Bodhicitta, called the Jewel Lamp by Lama Khunu Rinpoche*, and The 37 Practices of All the Bodhisattvas by Tokme Zangpo. ** Learning to contemplate on the countless facets of relative and ultimate compassion-wisdom. Meditations on the Four Thoughts that Turn the Mind from Samsara & The Unity of Mindfulness/recollectiveness and Bodhicitta. Learning how to generate a continuum of relative and ultimate Bodhicitta in our body speech and mind. 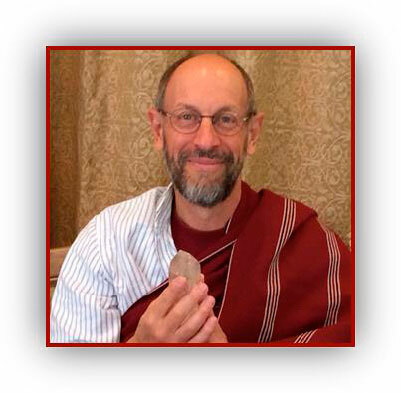 Lama Mark will show us classic and novel ways to enhance and deepen mindfulness as an expression of Bodhicitta. Intensive individual and group practice. Three Roots (Tsa Wa Sum) Torma Empowerment, transmission and explanations of the practice in the Gongpo Yangzab Dzogchen tradition. Outer and inner yoga practice. Group and individual practice. The Empowerment of Chenresig. And reading transmission of the practice text. In addition, instructions and practice of the hollow luminous Yidam body, vase breathing, channel and bindu. The empowerment and practices are essential for the Phowa meditation starting on March 15th. Mini 3 day Drupchen, each of us complete 100,000 recitations of Chenresig. Phowa—consciousness transference for one self and others. Transmission of Orgyen Nuden Dorje’s Phowa treasure, called “The Ruby Garland” and associated texts. Teachings on the signs and stages of dying, bardo and primordial wakefulness. Including assistance and guidance to those dying. Group sessions and individual practice. A completion stage practice that is an excellent preparation for Trekchö. Trekchö pith instructions and practice—discovering and abiding naturally in primordial wakefulness, for all beings. Direct instructions and individual guidance in Dzogchen Trekchö (‘thoroughly cutting through’) using Patrul Rinpoche’s root text and a commentary called the Special Teaching of the Wise and Glorious King, instructions on Garab Dorje’s Three Words that Strike the Vital Point. 6 classes and mostly individual retreat. A Smoke Offering and purification to auspiciously end the retreat. Preference will be given to those who can attend the full retreat, but a 1 or 2 week option may be available by special arrangement if there is space available. * This text is available as: Vast as The Heavens and Deep as the Sea, Verses in Praise of Bodhicitta, Khunu Rinpoche, Wisdom. Boston. Please purchase a copy for the retreat. A deposit of $500 is required to secure your place on the course. This is fully refundable if you withdraw before 1 February 2019. Beyond this date it is 50% refundable. Financial assistance may be available for those who would be unable to attend the retreat without support. Conditions apply. Please contact the retreat organizer if you are interested in submitting an application. Lama Mark (Lama Yongdu Chokyi Gyaltsen) has been studying and teaching Buddha-dharma for forty years. For thirty years his main root teacher was the great Ven. Namgyal Rinpoche who taught all three cycles of the Buddha’s teachings, including Abhidhamma, Vipassana in the lineage of Mahāsi Sayādaw, generation and completion stage practices of the Tantrayana and Mahamudra/Dzogchen of many lineages, especially of the Karma Kagyu and Sakya. More recently under the guidance and request of Drikung Lho Ontul Rinpoche, Lama Mark has been principally teaching the richness of the Drikung Mahamudra and Drikung Yangzab Dzogchen traditions.